We also stock the best quality varietal coffees from eight different countries. We brew a different one every morning so you can find your favorite! Ideal for coffee lovers who enjoy coffee with a bit more body and enjoy the boldness of a darker roast. Ethiopian blends well with chocolate and makes an exceptional mocha java. Its smaller beans were once considered the runts of coffee, but now are celebrated for their concentrated, robust taste. Count on this coffee for some fruity zing! We roast this high-mountain, volcano-grown coffee to a medium roast to bring out the earthy flavors that it brings to the cup. Is a light roast complex taste, mid to high acidity, excellent body and a full complex flavor. Enjoyed by coffee aficionados who appreciate the depth Costa Rican beans bring to the cup. Grown high in the Andes, is one of the highest grades of coffee. Lightly roasted, it possesses a lively flavor and aroma, and finishes with strong body. Our Columbian is perfect for after dinner, or enjoyed slowly on Sunday morning. A great coffee for whose who enjoy a darker roast. It has a light to medium body and low acidity which allows it to stand up well to darker roasting. Known for its syrupy body and rich earth tones. We dark-roast our Sumatran to accentuate these earth tones and allow the full, rick flavors to develop. The low acidity makes this the perfect coffee for a hearty breakfast. Grown in Papua from Jamaican Blue stock. 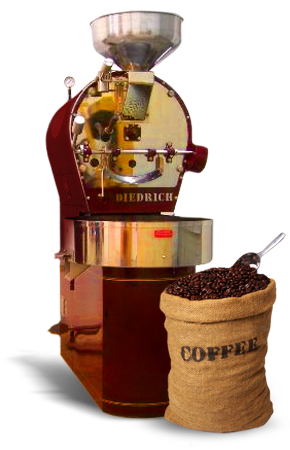 It is a bright Arabica coffee roasted to a medium roast to bring out the sweet, clean flavor. To keep your beans fresh at home, we always package them in light- and air-proof foil bags.